MUST SEE HOME! 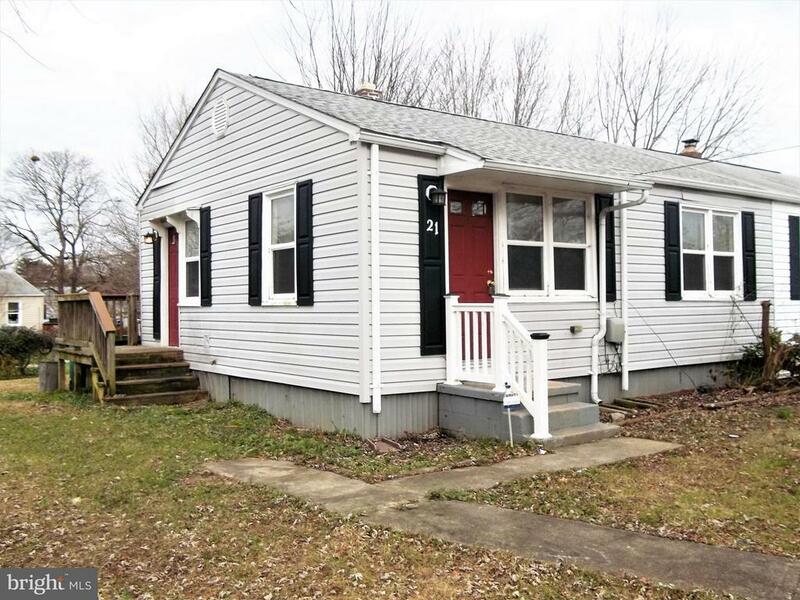 Great house for a first time buyer, investors, or anyone tired of paying a high rent! Complete renovation 8 years ago, but recently freshly painted and new carpet installed. New kitchen appliances to include refrigerator, gas stove, dishwasher, and microwave. Hardwood floors in living room and ceiling fans in LR and both bedrooms. Located just outside APG. Some outside painting and power washing will be completed when weather allows. Easy to show & can settle quick! Seller is motivated! Directions: Rt. 49 to APG Rd, Left onto Swan t., Right onto Victory, left onto Chesapeake Ct.